The Finance Ministry Team (FMT) oversees the financial function of Emmanuel Lutheran Church on behalf of the Congregation Council and members of the congregation. FMT’s responsibilities include managing the church’s cash and investments, overseeing the collection and counting of the weekly offering, administering payroll and benefits for our staff members, and maintaining the church’s financial records and insurance policies. FMT also works with the Property Team to oversee the care and maintenance of our buildings and grounds. FMT’s primary responsibility is to prepare the annual budget for congregational approval at the congregational meeting in January each year. The annual budget is the financial roadmap that enables all of the ministries and programs of Emmanuel Lutheran Church. 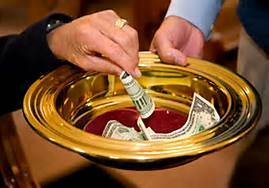 FMT also advises the Congregation Council on the prudent use and expenditure of the church’s assets and funds. The team typically meets three to four times a year, with the majority of our work conducted during the fall and early winter. FMT also works closely with the Treasurer, Financial Secretary and Stewardship Team. The Finance team consists of: Rich Lassen (Chair), Dave Swan, Beth Donovan (treasurer), Kai Frerichs, and Lorraine Lynch. Auditors: Three members of the congregation are elected to serve as auditors. The responsibility of the auditors is to review the work of the Treasurer and independently check the results of the church’s financial records to source documents after the close of the fiscal year end (December 31st). The purpose of the auditors’ work is to provide the congregation with a level of assurance regarding the completeness and accuracy of the church’s financial records. The auditors’ report is presented to the Congregation Council and made available to the congregation. The time commitment required of the auditors is approximately 6 hours a year. Auditors are elected for staggered three-year terms. Counters: Two persons are assigned each week to count the weekly offering collected at both services, complete the counting forms, and bring the deposit to the bank. Counting is done between worship services on Sunday morning and generally takes about one hour a week. Counters are assigned approximately 6-8 times a year. New counters are welcome at any time and are trained. Inexperienced counters are paired with experienced counters. Contact the Church Office to volunteer as a Counter. FMT welcomes anyone who is interested to join!